Want to learn more about how The Carousel of Smiles found its way to Sandpoint, Idaho? 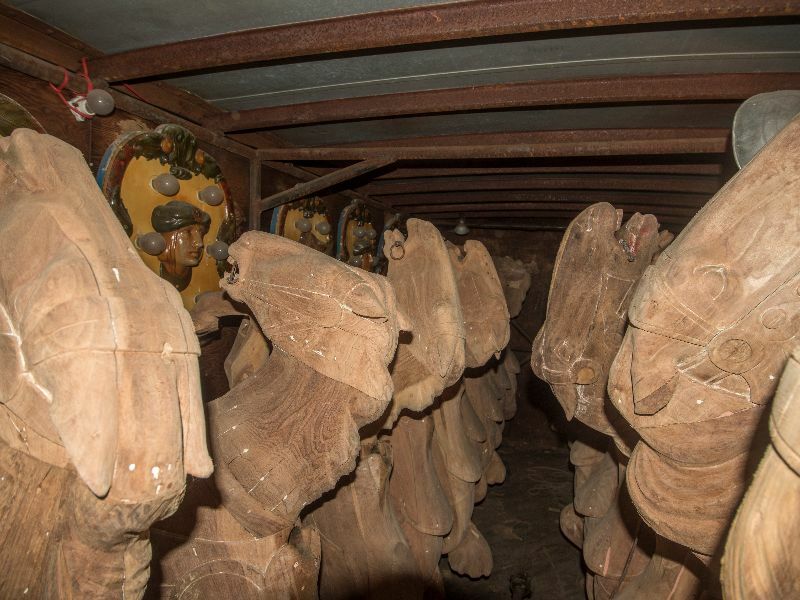 Scroll through the slideshow to find out more about the incredible story of this antique treasure. Ever since her first ride at the magical Columbia Gardens in Butte Montana, Reno Hutchison has had a lifelong love of carousels. Butte was not a particularly nice place to grow up, and the gardens, originally built in 1896 by the Copper Kings, a small group of mining industrialists, were a very special and magical place to her and all of Butte’s kids and adults alike. 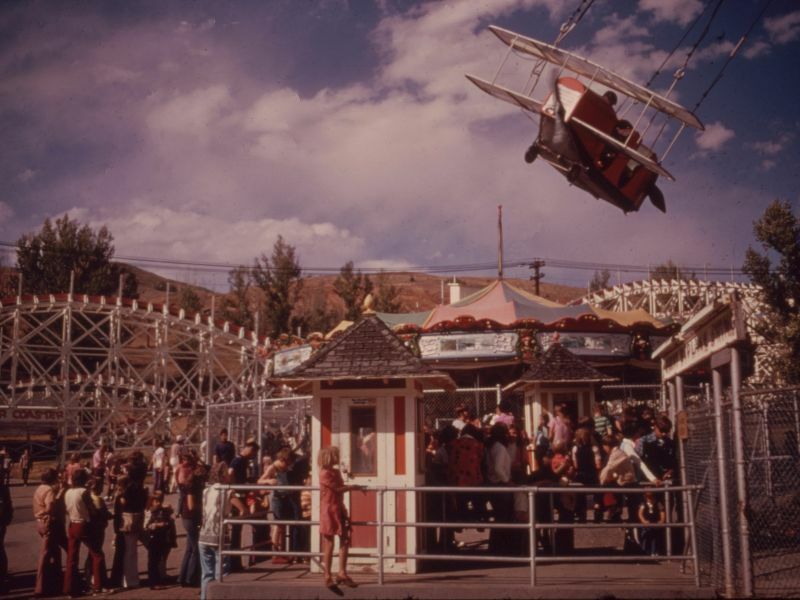 “The pavilions, the gardens the rides and especially the carousel — we looked forward to our outings there, they were the highlight of our summers,” recalls Reno. Photo: The Columbia Gardens in the early 1970s. A fire in November 1973 destroyed the beautiful pavilions along with its beloved carousel that was stored inside. 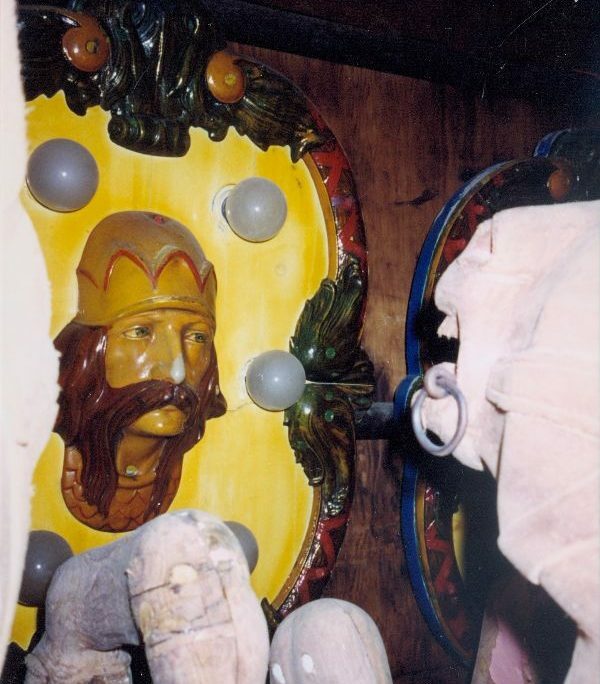 This tragedy sparked a desire in Reno to find and restore an abandoned “golden age” carousel, and bring it to her home town. 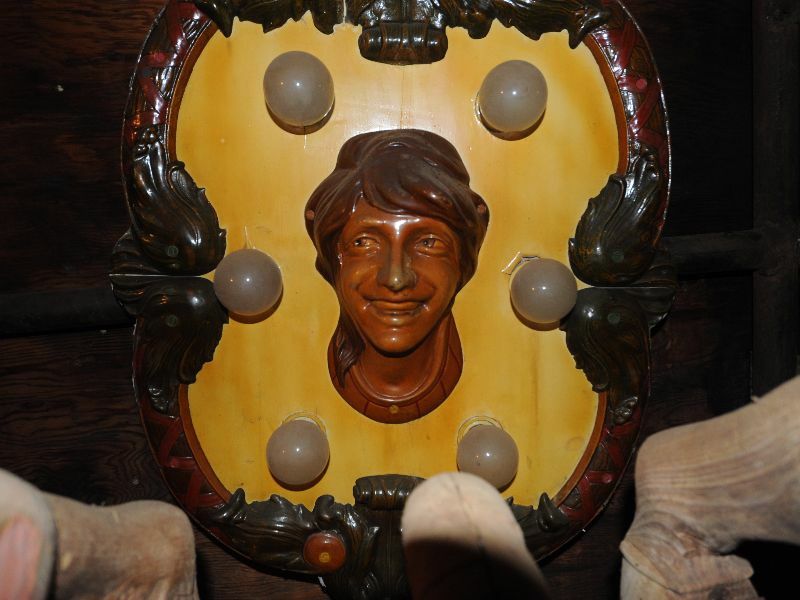 Reno’s passion for carousels never waned, and she drew in her husband Clay (the two met in Sandpoint in the late 90’s). However, their efforts to find a carousel were not encouraging. In the carousel world by the late 90s, intact, original wooden carousels were a rarity, with little expectation that any unknown carousels were left to be re-discovered, and one appearing at auction would need to meet the per-piece hammer price, a daunting proposition. The Carousel of Smiles at the 1952 Kansas State Fair in Hutchinson, Kansas shows the last time the carousel was in operation. 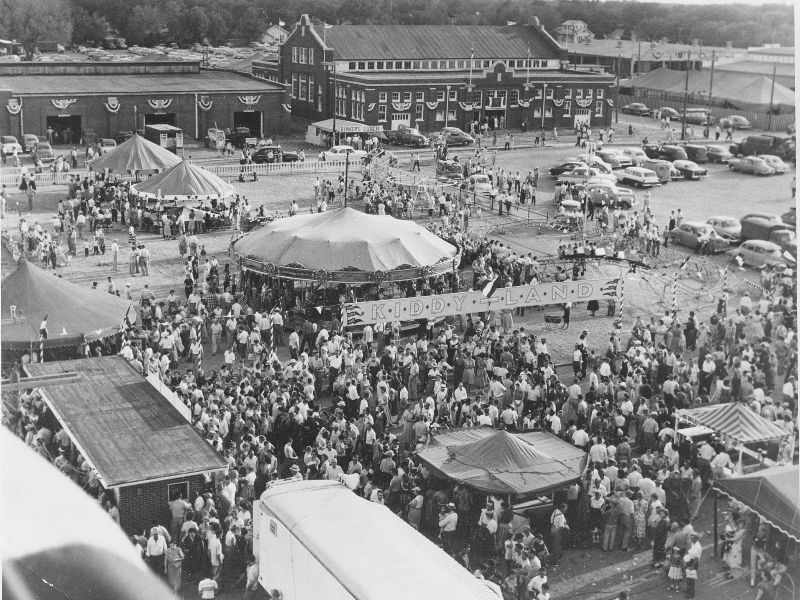 In the fall of 1952, the Kansas State Fair in Hutchinson, KS powered its last ride and spun its last cotton candy, shutting down for the season. Its antique carousel was packed into its two tractor-trailers and parked in a field at a local sheep farm, all but forgotten. 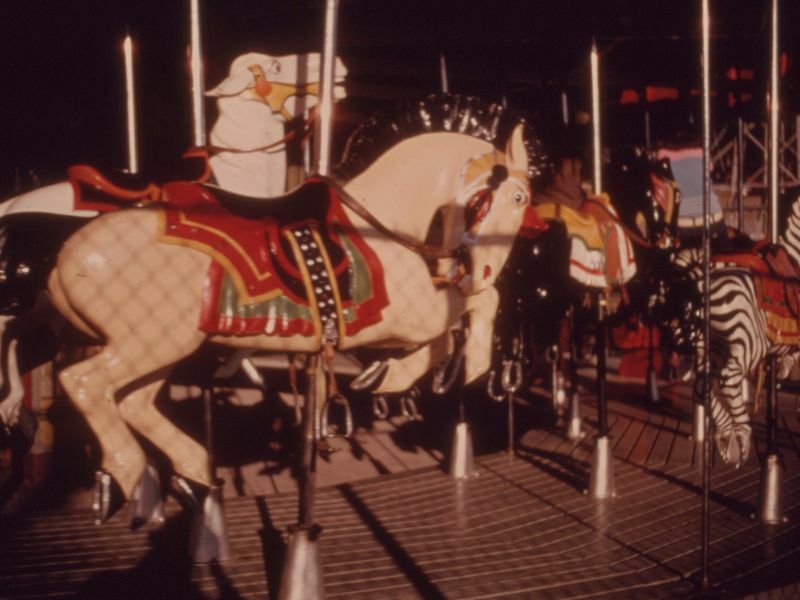 Like so many Golden Age carousels during this era, it had outlived its useful life, to be replaced by a newer machine. 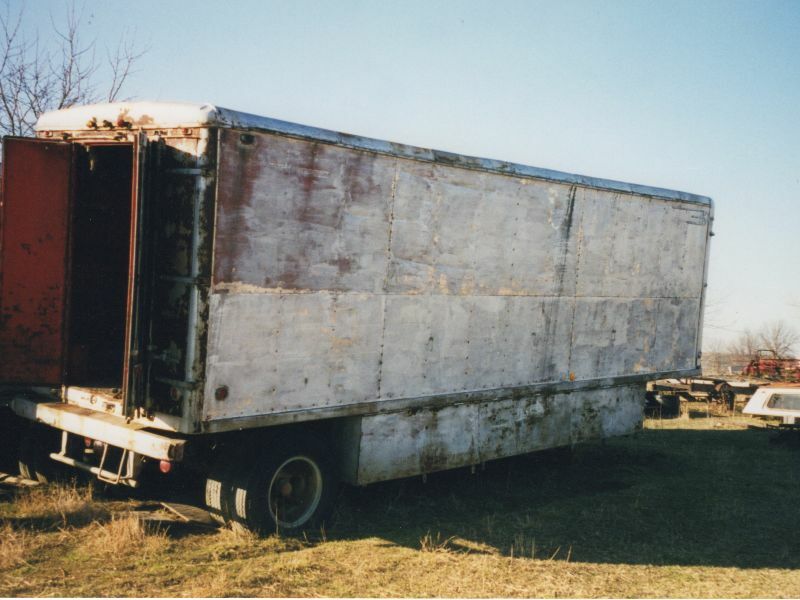 A once great ride, abandoned as a burden, remained in that field for 48 years. 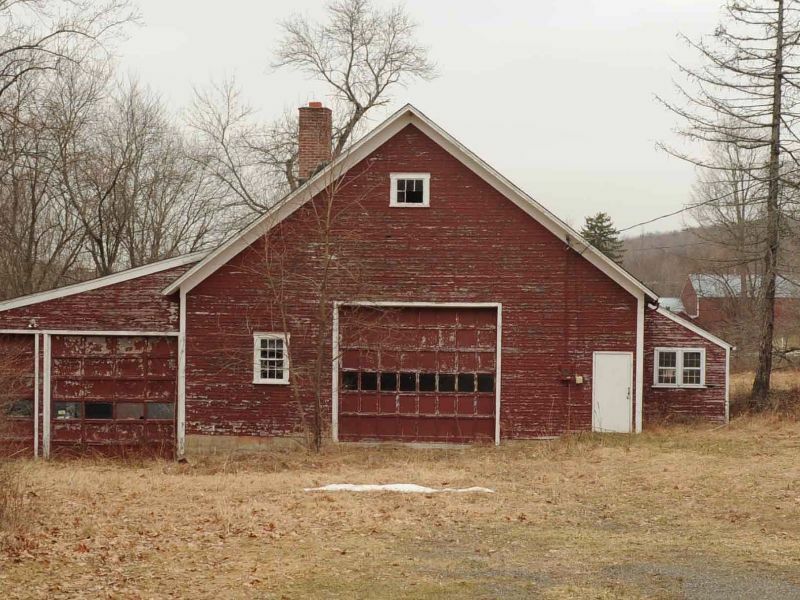 Sometime in the late 70s Bob Lemons, a folk-art collector (and friend of the farmer) purchased the machine with the intent of resurrecting it to its former glory. 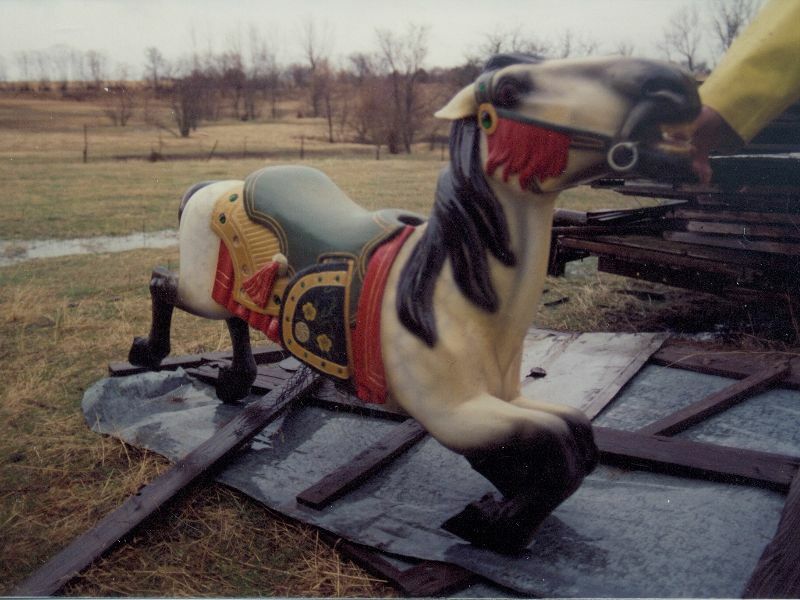 Bob had the 36 horses stripped of their park paint, restoring two of them, but was unable to accomplish much else. The carousel remained in its sheep meadow, packed in its trailers, as it had been since it last operated in 1952. In July 2000, Clay received a call from his sister–in-law wondering if her nephews would like an antique sled for Christmas. She was in Kansas City helping a college friend, the daughter of Bob Lemons, organize an auction of her father’s collection of folk-art and Americana. Clay jokingly asked if they happened to have an antique carousel in that collection. The coincidences don’t end there — Hutchinson is the county seat of Reno County, Kansas. 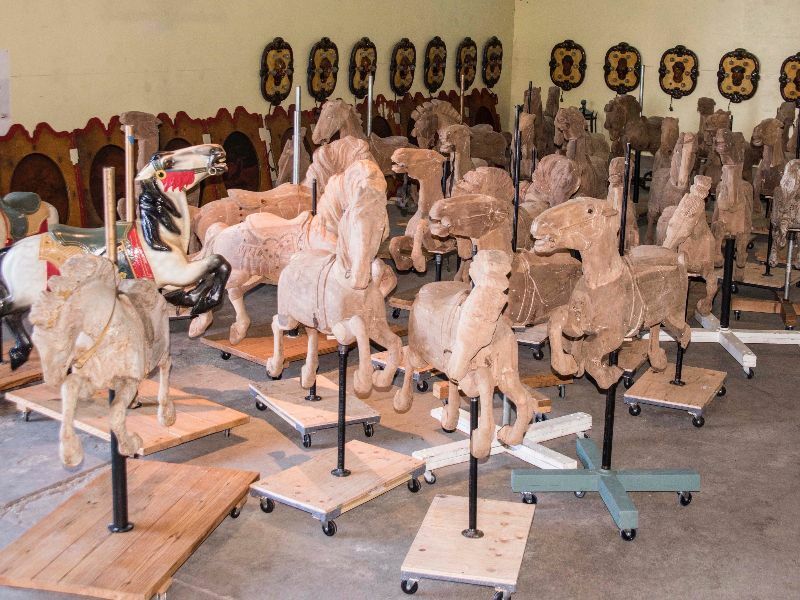 Prior to the auction sale, Clay and Reno purchased the carousel, keeping it intact, keeping it from being broken up and sold off horse by horse. 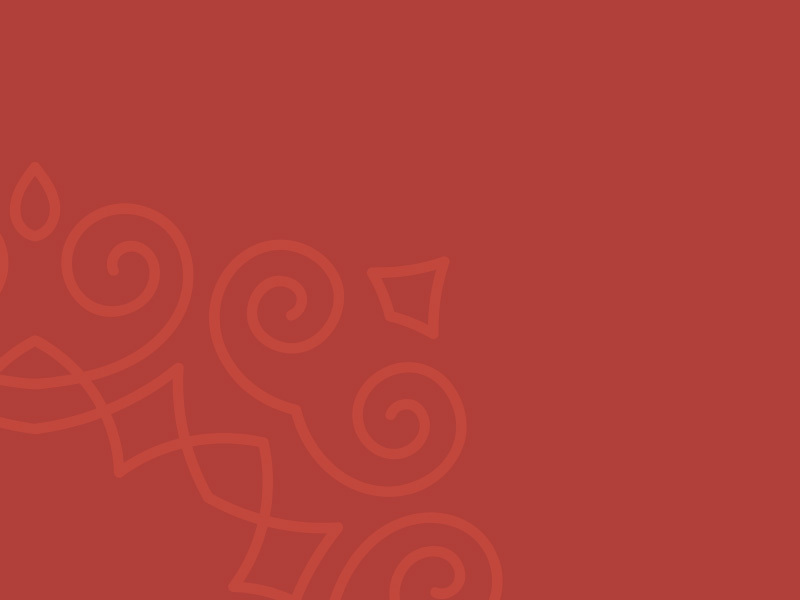 A lost carousel had been found…the journey had begun. 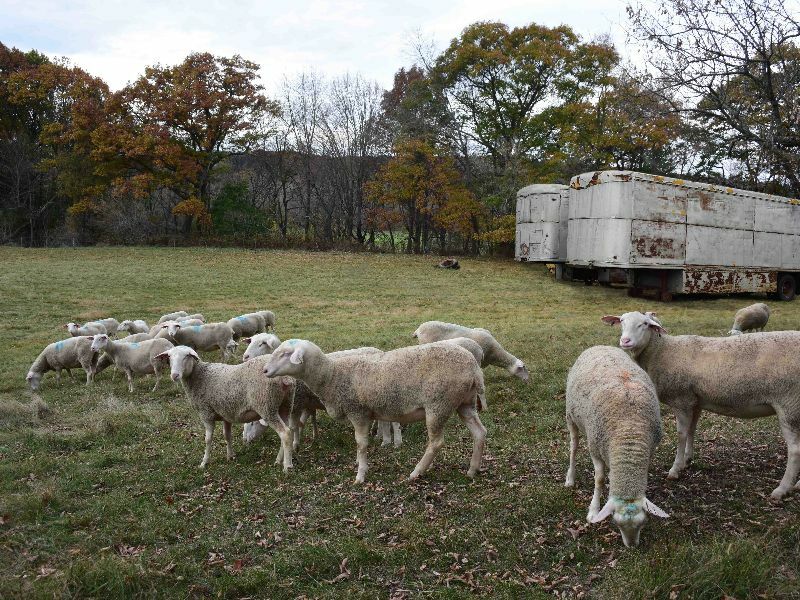 Without a specific plan of what to do with this historic, intact machine, the Hutchisons moved it, still in its two vintage tractor-trailers, to a storage barn in Upstate New York, where it remained, still unloaded, for another 16 years. Finally, with encouragement from members of the National Carousel Association, the Hutchisons sat down with the Mayor of Sandpoint, Idaho in August 2016, and outlined their plan: to bring the carousel to Sandpoint, create a community involved restoration project, and (per Reno’s dream) to locate the restored machine in a new pavilion at the town’s City Beach. With a modicum of support from the Mayor’s office, the Hutchisons decided to jump in. 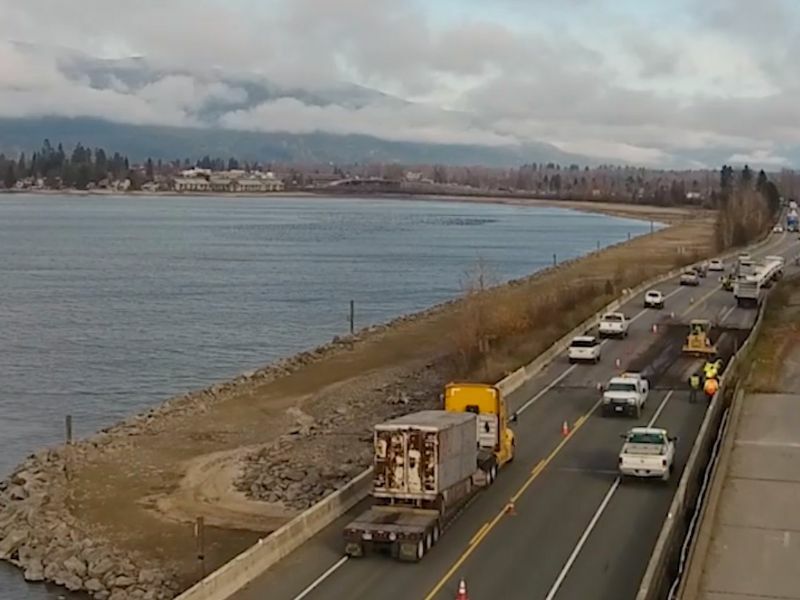 They loaded the two vintage trailers onto lowboy trailers and in November 2016 the carousel made the journey West to Sandpoint — the 36 horses and 14 shields in one trailer, and the artwork, rounding boards and mechanism in the other. The Carousel of Smiles, as it is now named, was completely unloaded from its two trailers, for the first time in 64 years, on December 3, 2016. 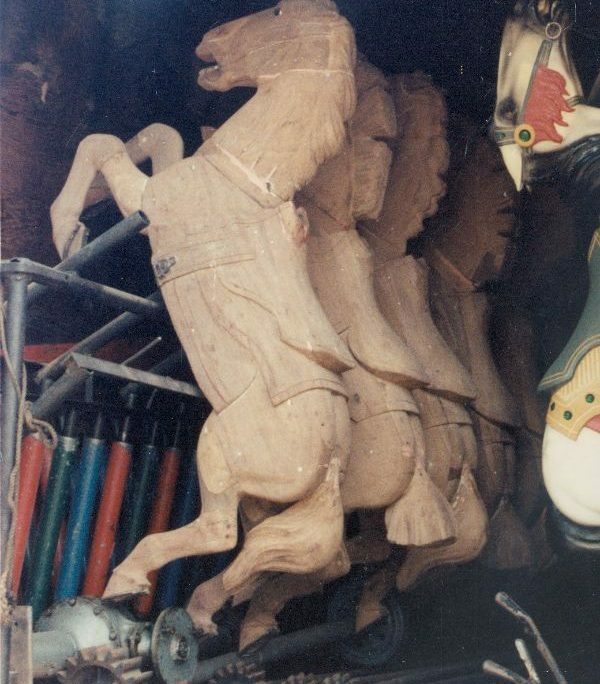 It is a circa 1920 Allan Herschell; 14 sweep, three row, 40-foot diameter machine with 36 horses and two chariots. 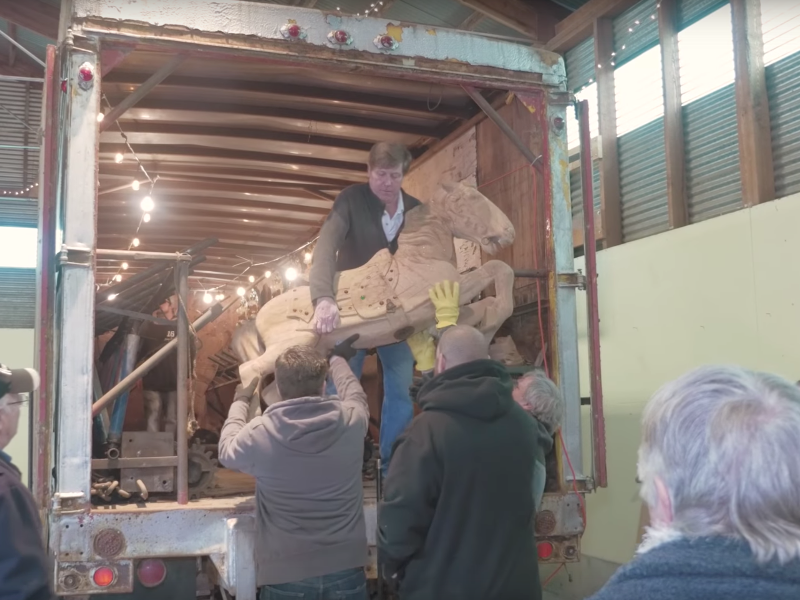 A forgotten carousel, a true time capsule and very possibly the last undocumented machine left to be discovered, has found its new home in Sandpoint. The journey continues…hop on, help us renew the magic, and join the ride! 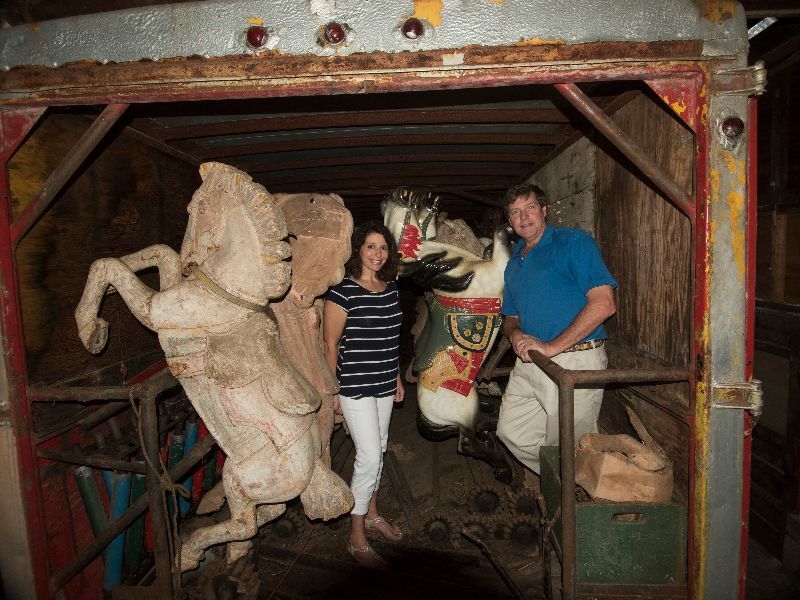 After the carousel’s long journey, we marked a new beginning for the long forgotten treasure on December 3, 2016, when we removed the carousel from its trailers for the first time in over 60 years. 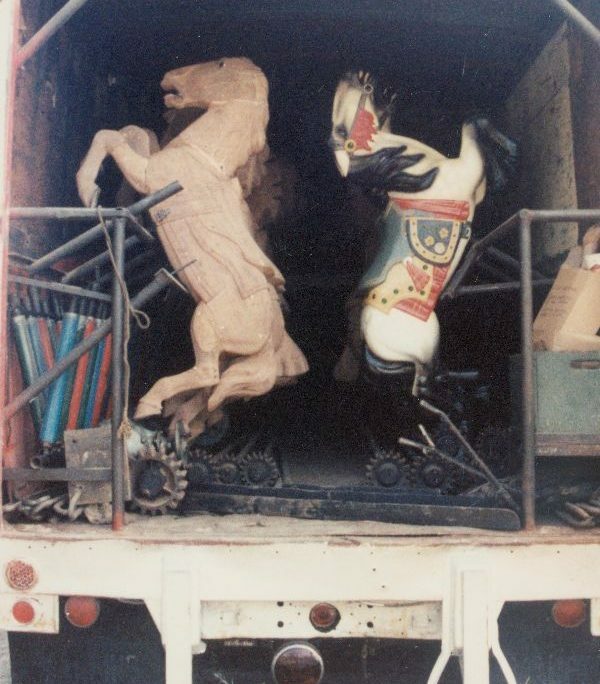 Take a look at the ponies and carousel artwork before The Unloading, when everything was still inside the trailers. There are plenty of ways that you can get involved the bring the magic and joy of the carousel to Sandpoint. It’s all hands on deck for this community-supported project! Find out how you can help. 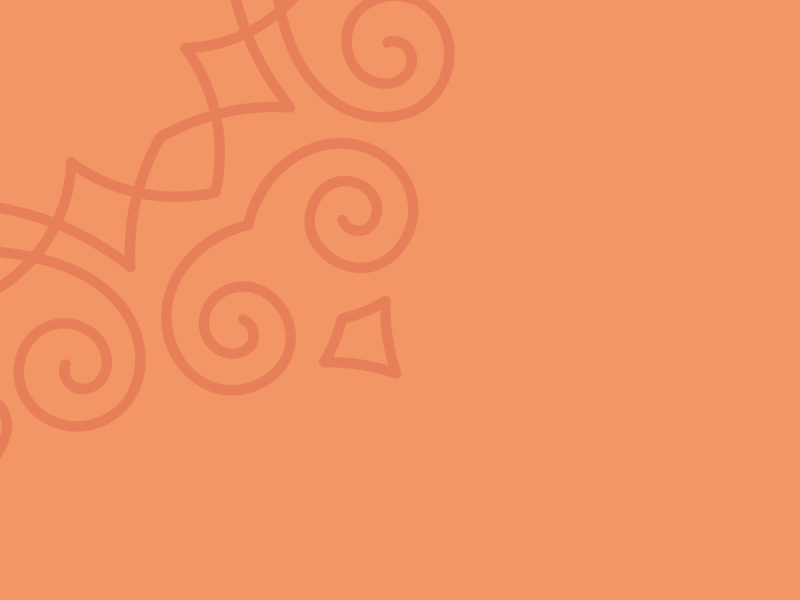 We invite local artists to lend their skills and passions in support of The Carousel of Smiles. 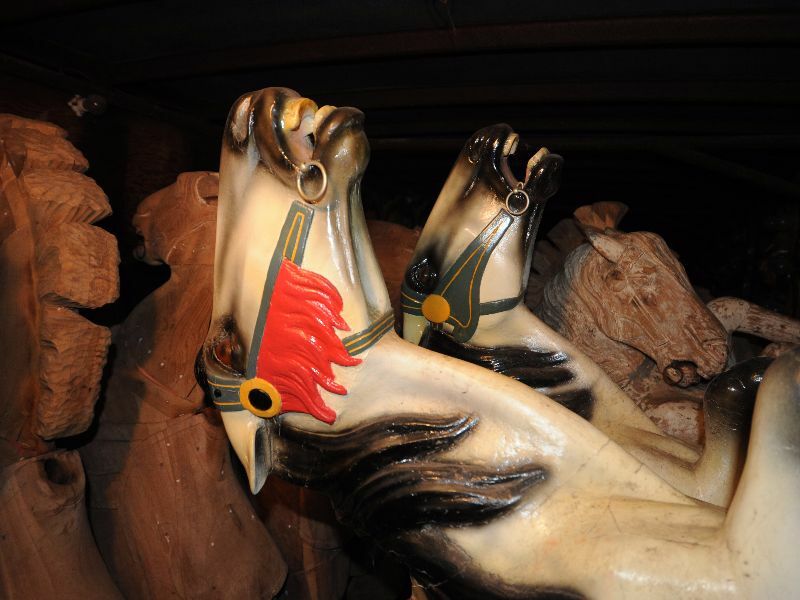 Donations of any size help us in our mission to restore a vintage carousel for Sandpoint. 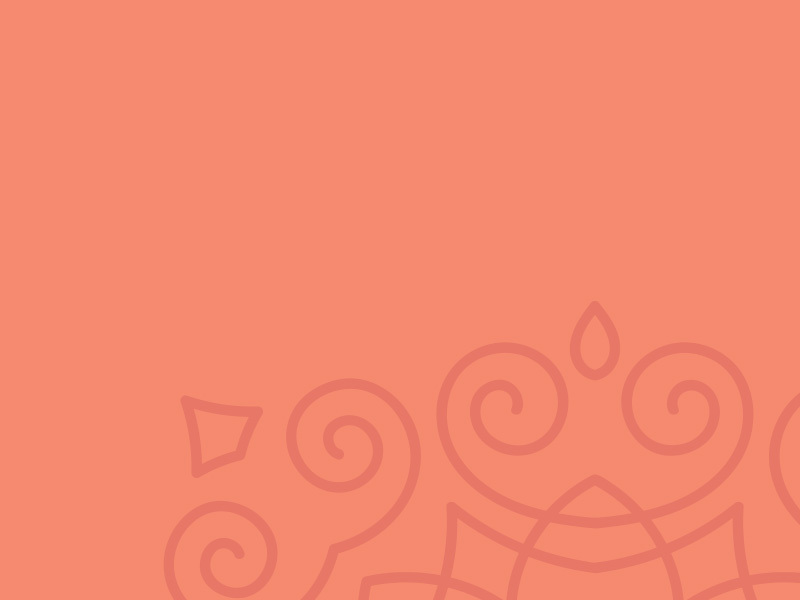 Receive updates straight to your inbox on The Carousel of Smiles restoration project.